In "Feller seeks city support for toll road" (North County Times, Jan. 27), Oceanside Councilman Jack Feller would like the city of Oceanside to reconsider its vote to oppose the proposed path of the Orange County Southern Foothill Toll Road. This proposed toll road would run through the Donna O'Neill Land Conservancy and San Onofre State Park to link up with Interstate 5. The city was right to oppose this toll road path and should let the vote stand. While the state park is outside of the city's jurisdiction, it is available to all the people of Oceanside as a marvelous recreation opportunity for swimming, surfing, hiking and camping. Each of us has some responsibility if we want to keep our state parks intact. The state did not set aside this land for future road alignments; it was designated for recreation and conservation. The Orange County Transportation Corridor Agency (TCA) was arrogant to assume that these open lands were set aside for their road. What we would lose is irreplaceable, and there is some debate whether the toll road would actually produce the traffic relief TCA claims, and for how long, given the area's plan for 14,000 new homes. Recreation sites are becoming fewer and more crowded as California's population grows. Reducing opportunities in neighboring areas will only hurt the city's citizens. TCA had alignment alternatives that could have been adopted. TCA has used agreements with the county to block competition or other roads that would have alleviated freeway congestion. The state park is the wrong place for the toll road. State parks are not road easements. The TCA spokesperson tells us the road would be 400 feet from the campsites. That certainly would detract from the nature experience and eliminate any sense of getting away from it all. TCA also points out few people use the backcountry the road would ruin. However, the backcountry is the center piece of park conservation, with nearly a dozen endangered species. The toll road would have far-reaching implications on conservation elsewhere. In the case of Oceanside, we have significant populations of thread-leaved brodiaea, a state and federally listed plant. Part of current statewide conservation strategy assumes the populations in San Onofre State Park are protected. 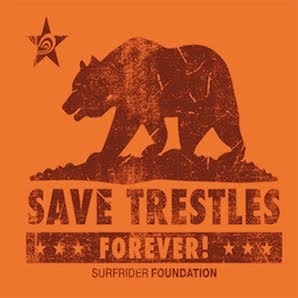 If they are not, the conservation status of this species would have to be re-examined in Oceanside. Likely more would have to be done to protect Oceanside's plants, which would mean less flexibility in planning and development. This argument would apply in many places where rare plants and animals rely, at least in part, on occurrences already "protected" in San Onofre State Park. We can't both use them as shiny examples of conservation and drive over them. I hope Councilman Feller visits the park and reconsiders his position. Maybe then he would see that the TCA is trying to rob present and future Californians of a valuable piece of the state's natural heritage. Oceanside resident Fred Roberts is the rare plant coordinator for the San Diego chapter of the California Native Plant Society. I posted a long comment. where did it go? Never saw it. Not sure what happened. As per writing services the humanism lurking behind the notion that anyone can or should find their own truth is a threat to fundamentalist monotheists everywhere.